Nowadays, everything is all about au natural. 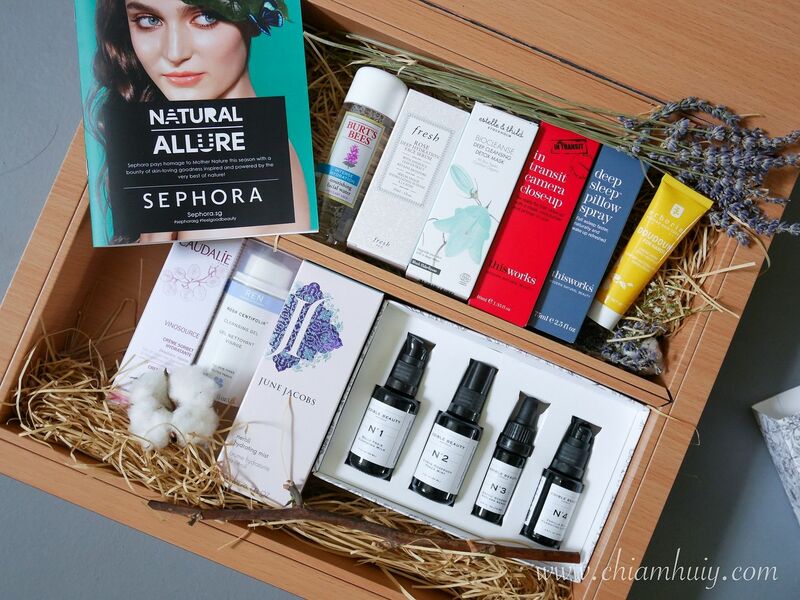 For the month of May, it's no different to Sephora Singapore as they pay more attention to natural beauty products and give thanks to mother nature. 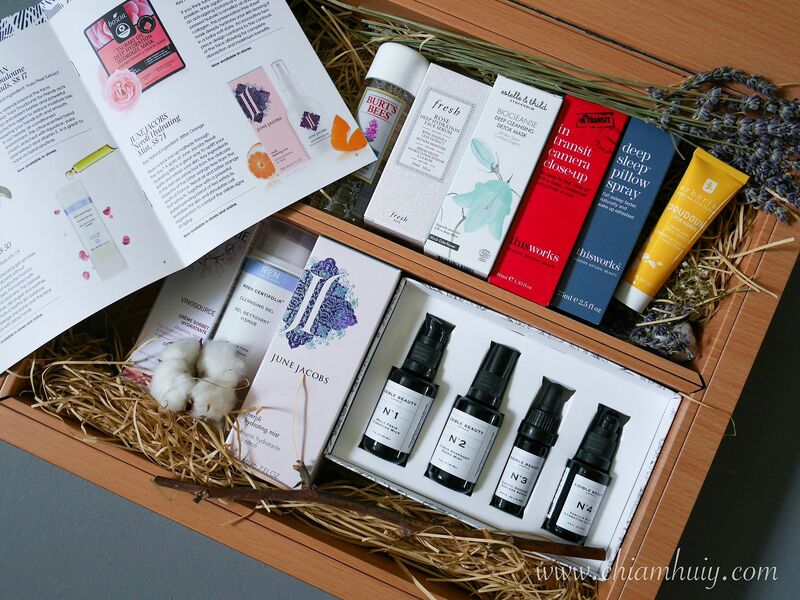 Here I have 10 natural beauty products with key ingredients coming mostly from plants or fruits. Let's see what's popular at Sephora Singapore now! Travel kit is always well-loved by me. That aside, this shall be your travel go-to as it covers your skin from cleansing, toning to eventually hydrating. First up we have Belle Frais Cleansing Milk which gently cleanses with coconut oil. Then freshen up with the second step: Citrus Rhapsody Tonique that comes with a blend of antioxidant rich fruits and herbs. Moving on to Exotic Goddess Ageless Serum to keep the skin supple with Edelweiss before finally sealing all efforts with Vanilla Silk Hydrating Lotion for hydration with cocoa butter. This will definitely be my choice for my next trip! This is probably one of my favourite because the key ingredient here is none other than Lavender! 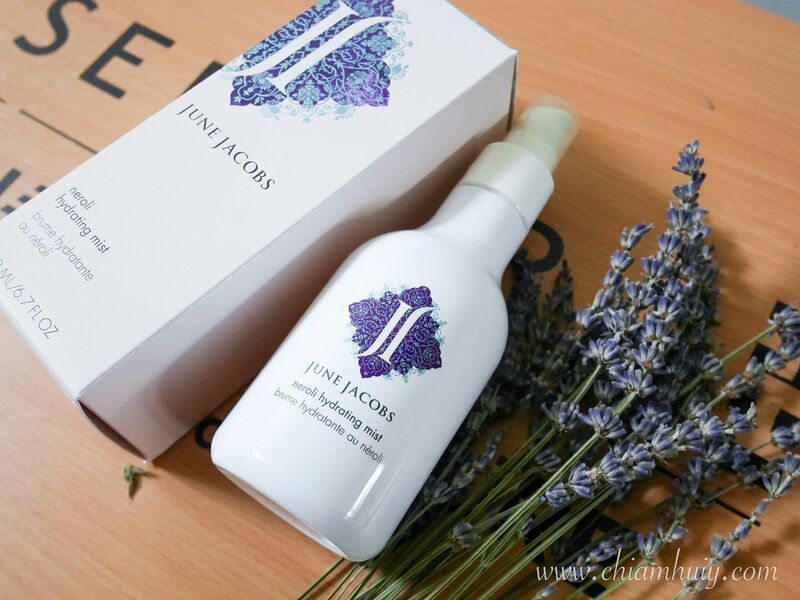 Lavender is widely known for its relaxation efficacies, to ease tension and stress that you might be facing. 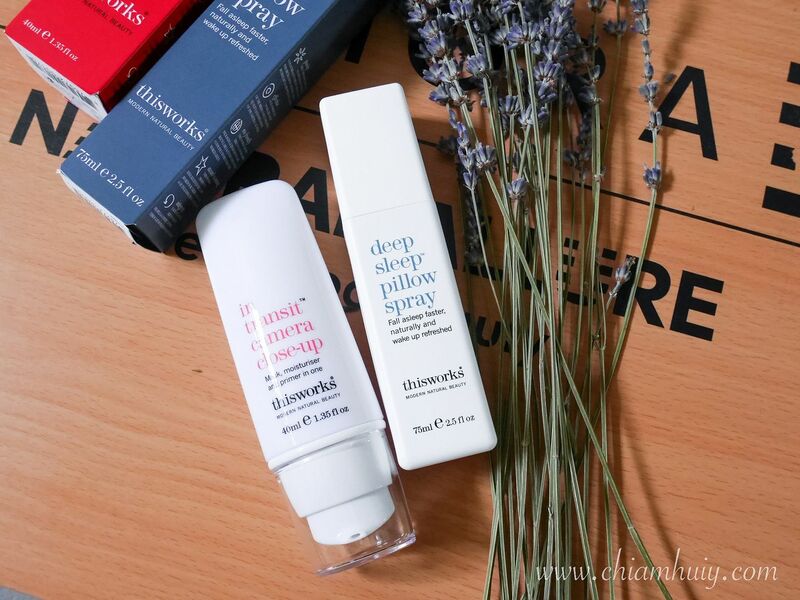 For those who has trouble falling asleep at night, no harm trying out this Deep Sleep Pillow Spray, a good alternative to sleeping pills etc. Other than lavender, you can also find wild chamomile and vetiver which adds together to ease and calm the minds for a better sleep tonight. 99% of users reported better sleep, 89% fell asleep faster and 92% felt more refreshed the next morning. I guess the name says it all. To make sure your skin is ever-ready for a camera close-up (literally), you gotta make sure you prep your skin well. 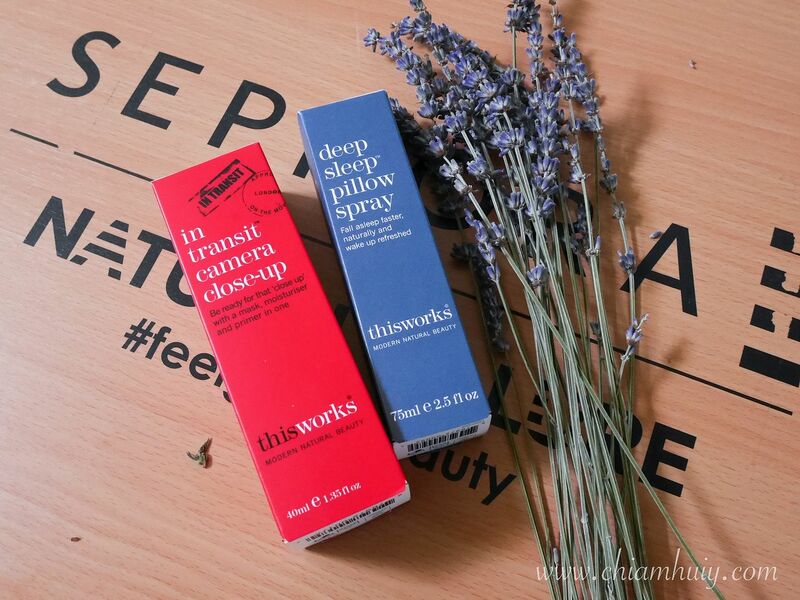 Try THIS WORKS In-Transit Camera Close-Up, an all-in-one leave on mask, moisturiser and primer that can be either used daily or a pick-me-up at any point of the day. The cream does come off a little too greasy at first, but it was nothing to worried about. 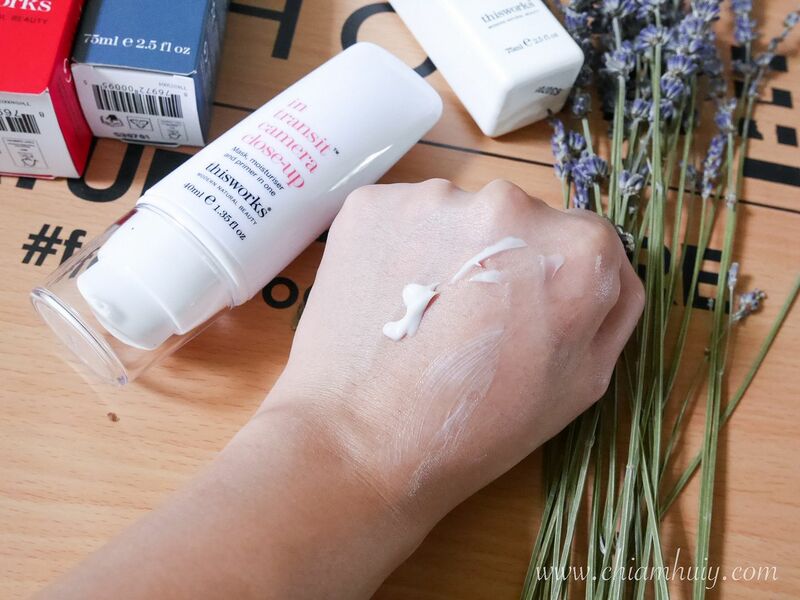 It leaves on velvety smooth on the face so I can understand why it's called a moisturiser + primer. 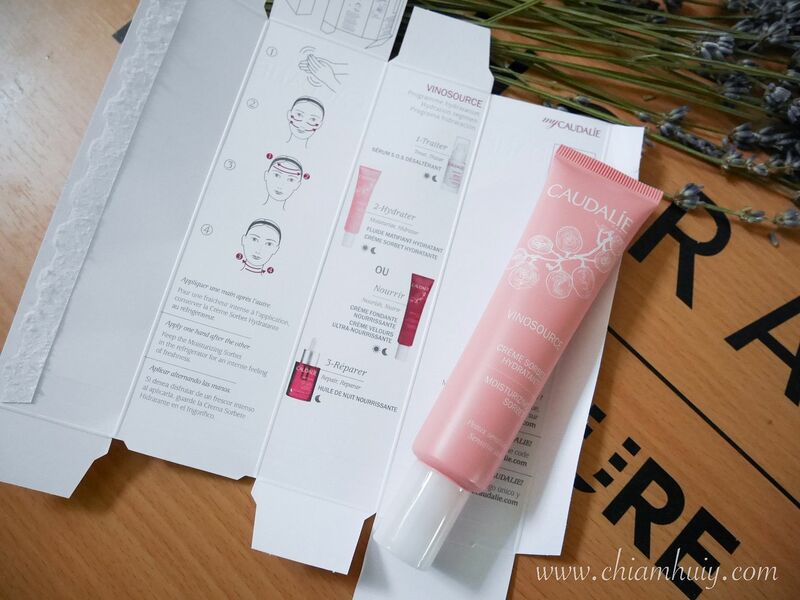 It does help to cover up pores to a certain extent, and prepped my skin for any makeup that follows. We all can guess how the brand name Fresh is derived from. Always known to be using natural ingredients for its skincare products, Rose is also one of the key popular skincare range. The Rose Deep Hydration Face Serum is inspired by all-time bestseller Rose Face Mask. Its lightweight watery texture is a huge plus point for me, I love it! 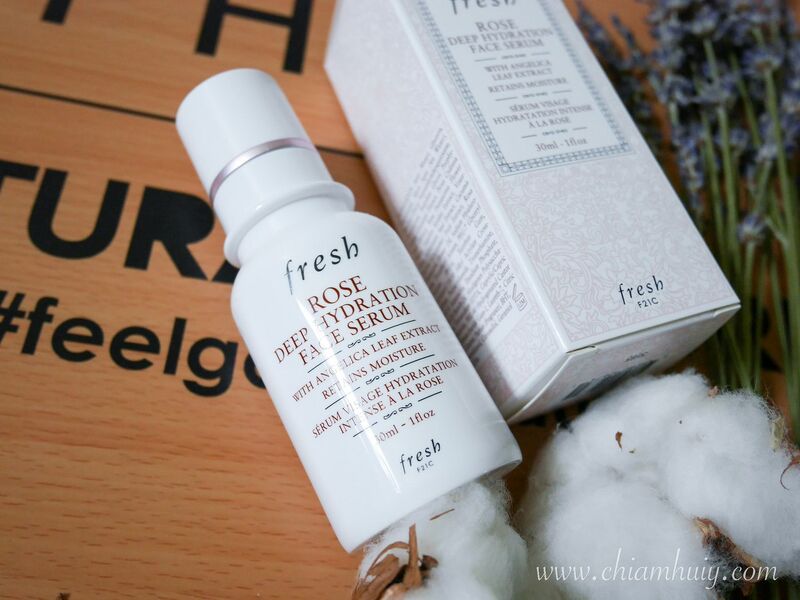 Other than Rosewater, this serum is also packed with Hyaluronic Acid, Angelica Leaf Extract and Porphyridium Cruentum formula to restore your skin's glow. This lightweight serum gets absorbed pretty easily too. Hydrating mist has always been my favourite perks-me-up option. 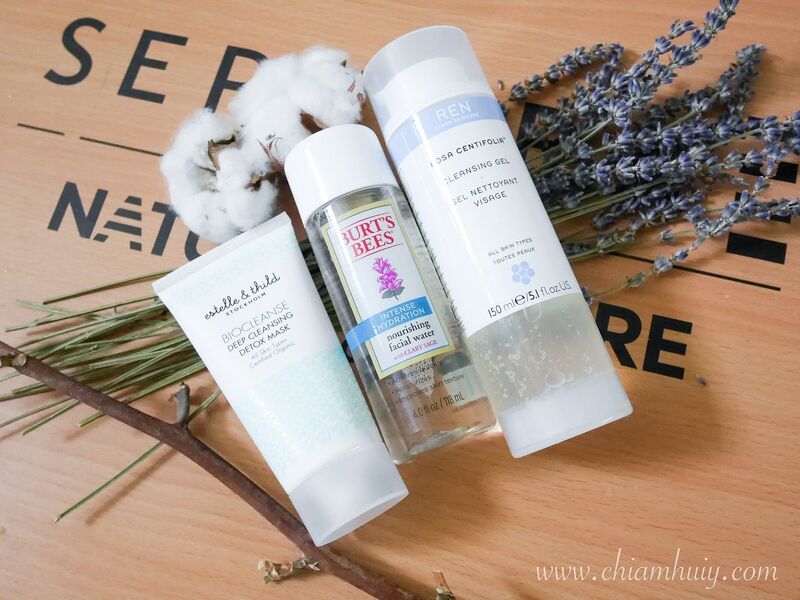 Not only does mist freshen up our face, it also helps to hydrate it at the same time. 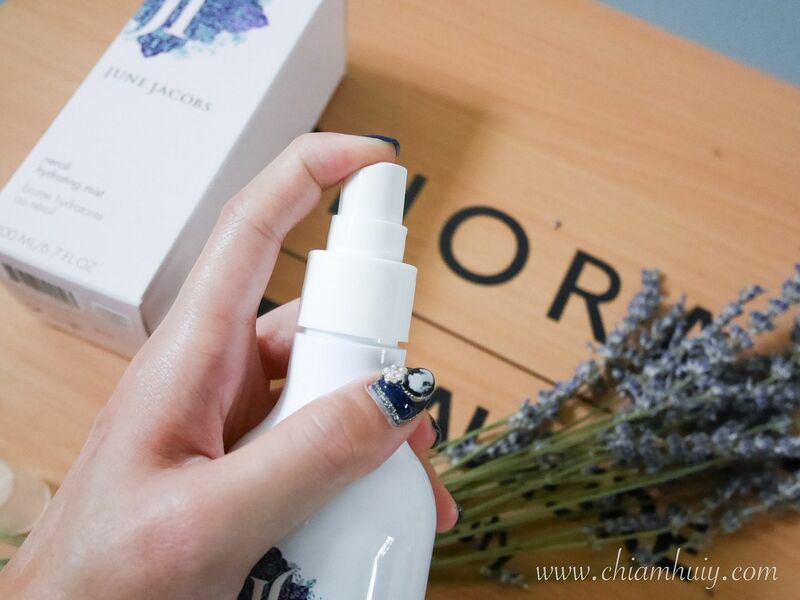 This June Jacobs Neroli Hydrating Mist is also not your usual hydrating mist. The key ingredient here is actually Bitter Orange, followed by Neroli Oil, which together becomes a patent-pending blend of tea extracts to revitalize the skin and stimulate cell regeneration. When I tried this mist, it doesn't just vapourise right after I spritz onto my face. The mist actually stays on the skin as though it has formed a layer of moisture on your skin. That being said, spritz sparingly in case you feel too greasy with excessive application. The scent of this spray is really unique too (but I like it), since the main ingredient here is bitter orange. I've heard quite a lot of good reviews over the organic brand Estelle & Thild. 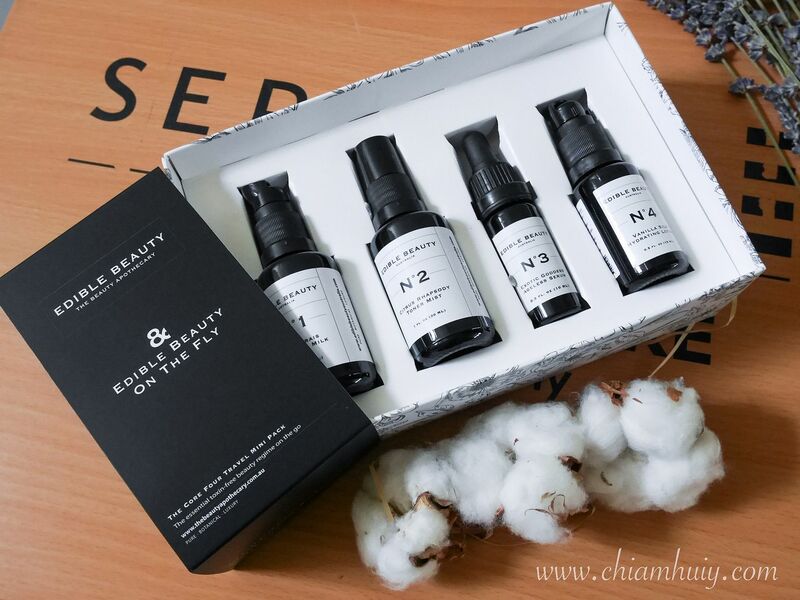 It's mainly about the natural ingredients used in their products, so natural and chemical-free such that they're even suitable for the babies. The Deep Cleansing Detox Mask looks like an ordinary cream moisturiser, but it's actually a detox mask that draws out impurities and toxins. 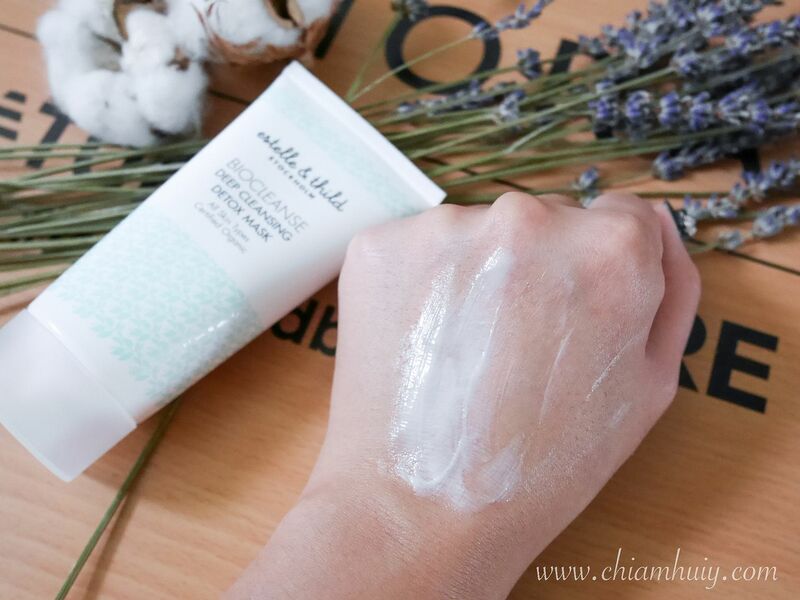 Unlike many detox mask which is usually clay-type, this will be much less drying and harsh on your skin, especially if you have dry or sensitive skin. The main ingredient found in this detox mask is Black Elderflower, which gives a nice warm scent while it works wonder on firming up your skin. I've tried Burt Bees' lip balm before but it's definitely my first time hearing it has facial water as well.With the main ingredient Clary Sage, an essential ingredient that is commonly found to be helpful in reducing skin inflammation, healing rashes and many more. This facial water will give your skin enough hydration with a pH-balanced approach, if anyone if concerned about pH balances. Recently, I've almost moved on from using makeup wipes to only using cleansing oil. Guess it'll be a good time to try out this Cleansing Gel from Ren. It is a soap-free facial cleansing gel that removes makeup and dirts without harsh effects from sulphates commonly found in other cleansers. If you have sensitive and easily-irritated skin, then you'll be happy to hear that this cleansing gel come with rose otto oil and aloe vera ingredients, great to soothe and decongest your skin. 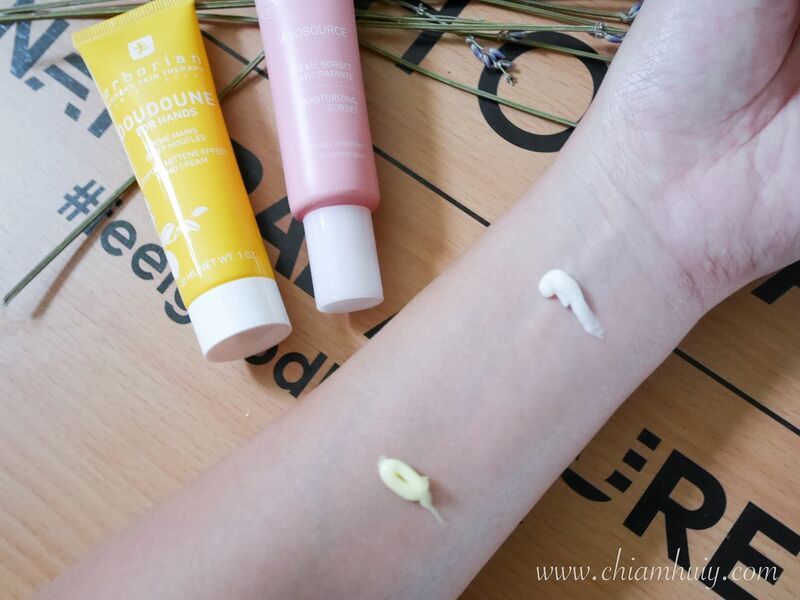 For yuzu lovers like myself, this will be a handy hand cream to bring along wherever you go! Just a small little tube goes a long way, they say. We all know yuzu and citrus fruits come with high anti-oxidant efficacy, which we desperately need for our poor hands. 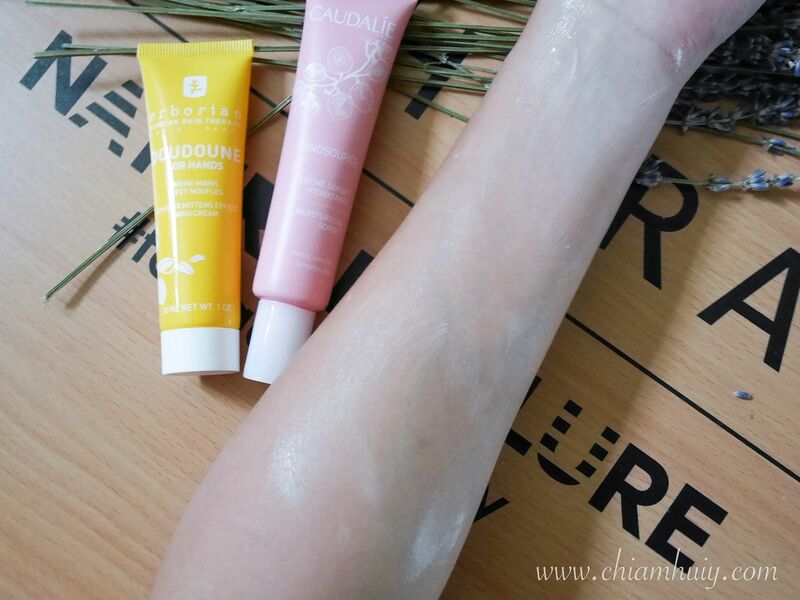 Not only that, this Erborian Yuza Doudoune for Hands also comes with liquorice and vitamin E to moisturise your skin and combat against harsh drying environments, like air-conditioned areas. 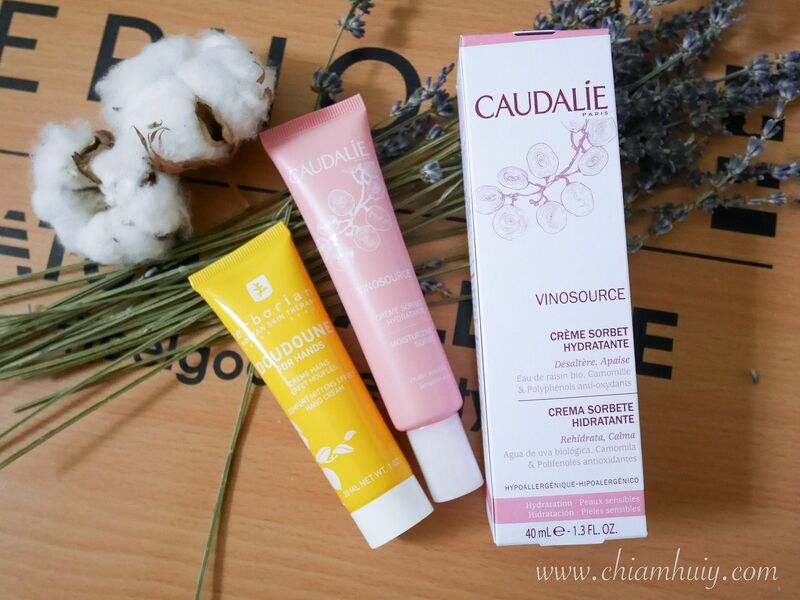 Sensitive skin users will find this useful - CAUDALIE Vinosource Moisturising Sorbet is a good gel-cream formula that moisturised dry and sensitive skins. The main ingredient here is Organic Grape Water, created by pressing Merlot and muscat grapes from south of France to come up with this interesting Organic Grape Water formula. Apparently, this formula increases skin hydration levels by up to 127%, and together with Chamomile, this moisturising sorbet can soothe skin redness and irritations. I would suggest applying sparingly because this moisturizing sorbet can be little too rich for acne-prone skins. On a side note, that's quite a cute packaging! 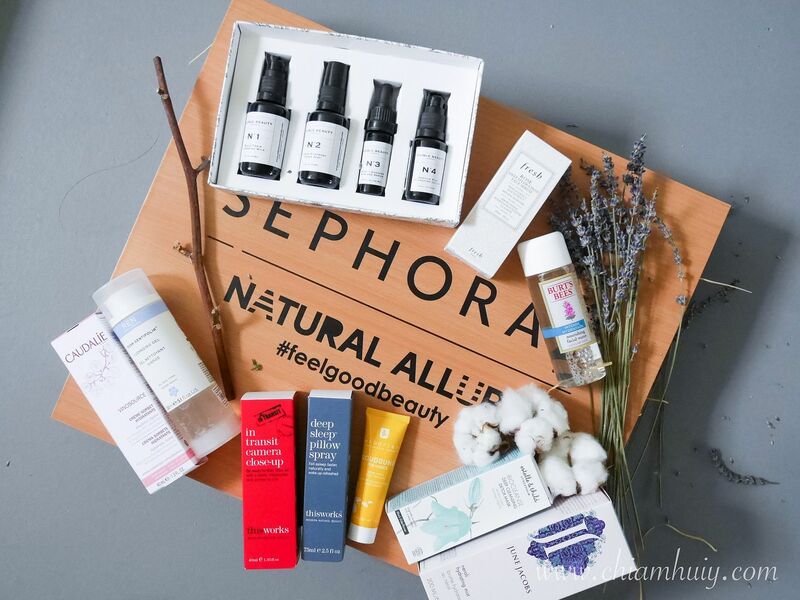 Find most of these products online on Sephora.sg or instores today!